According to the changing situation in the national and international employment scenario, the Maharashtra State Government has increased its focus on the importance of skill education to make the students equipped with job ready skills. The industries need skilled manpower and thus vocational training has been stressed in the State Higher Education Sector. The necessity for importance of potential development has increased for better skilling of the students in Maharashtra. For that matter, highlighting and encouragement of potential areas of development for productivity and for empowerment of policy has been developed by the State Government. The introduction of credit framework in skills and choice based credit system aims to keep the higher education delivery system in sync with students’ aspirations and employment needs. “Maharashtra Government has introduced many initiatives to make a difference in the lives of students. We have created an entirely new and dedicated Department for Skill Development & Department of Productivity Improvement in the State to give more impetus on these areas. Also, we have introduced choice-based credit system (CBCS) for next annual year, brought-in a new regulatory framework in Maharashtra University, abolished negative marking system and got back student elections in the institutes, changed minimum age for admission to nursery classes. 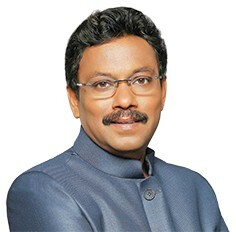 I am sure to serve more and better in the coming months,” says Vinod Tawde, Minister for Education, Government of Maharashtra. Ending the long pending impasse on nursery admissions, the State Government decided on the age of admissions in schools. The Government Resolution (GR) issued states that for admission in 2015-16 sessions, the age group for playschool and nursery will be three years and for 1st standard the age limit will be 5 years. There is a provision made by the Government for backward classes and for special students in non government aided schools of 25 per cent reservation. But instead there are schools which are connected to the educational departments CBSE, IB, ICSE, IGCSE. In these schools admission criteria for 1st standard is different which is arising the problems for 25 per cent reserve quota admission. To bring this problem in order, the government has given preference to 25 per cent reserve quota admission to pre-primary and 1st standard. According to this rule, if the admission capacity of pre-primary is more than the admission capacity of the 1st standard then leaving the 25 per cent quota of the 1st standard aside, rest of the seats will be given. And if the capacity of pre-primary is lesser than 1st standard then the 25 per cent reserve quota will be kept by the preprimary and rest of it will be given to 1st standard. Also if there is admission capacity open after the admission process of pre-primary is done then the rest of the admission seats will be given to 1st standard. The GR is passed that Teachers Eligibility Test (TET) exam is compulsory for all teachers from all types of schools.